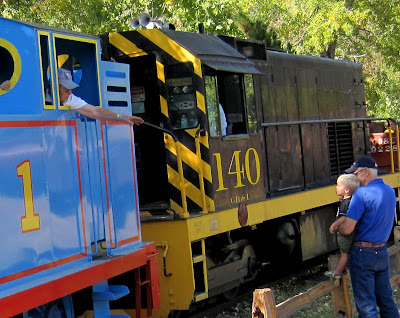 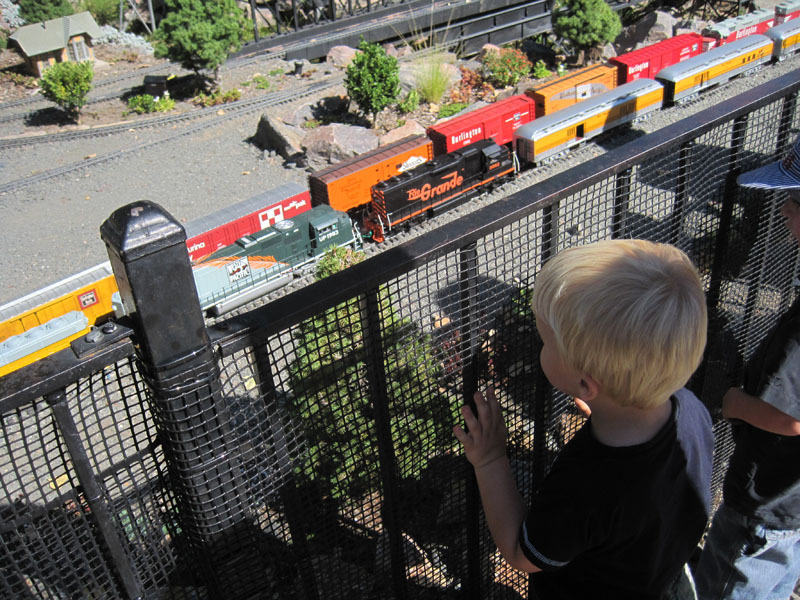 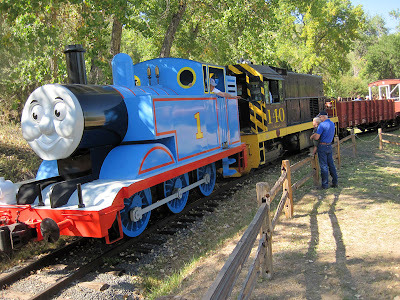 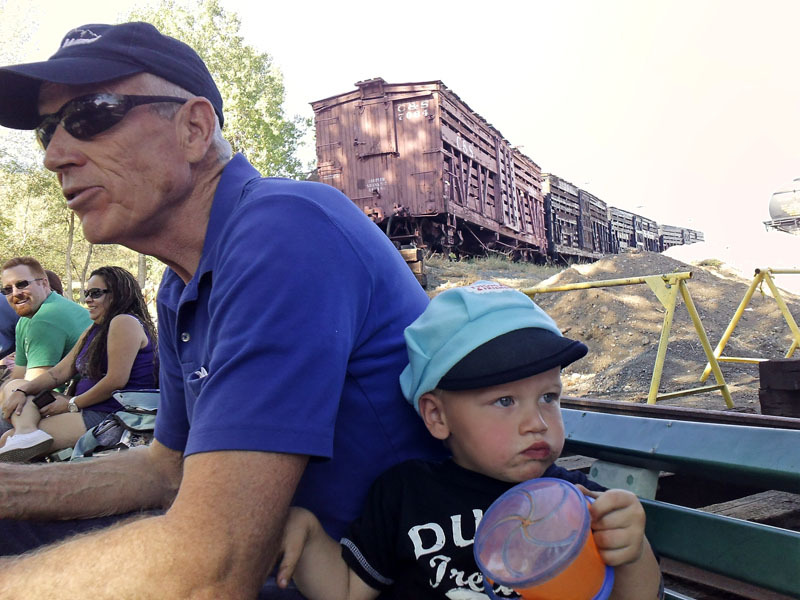 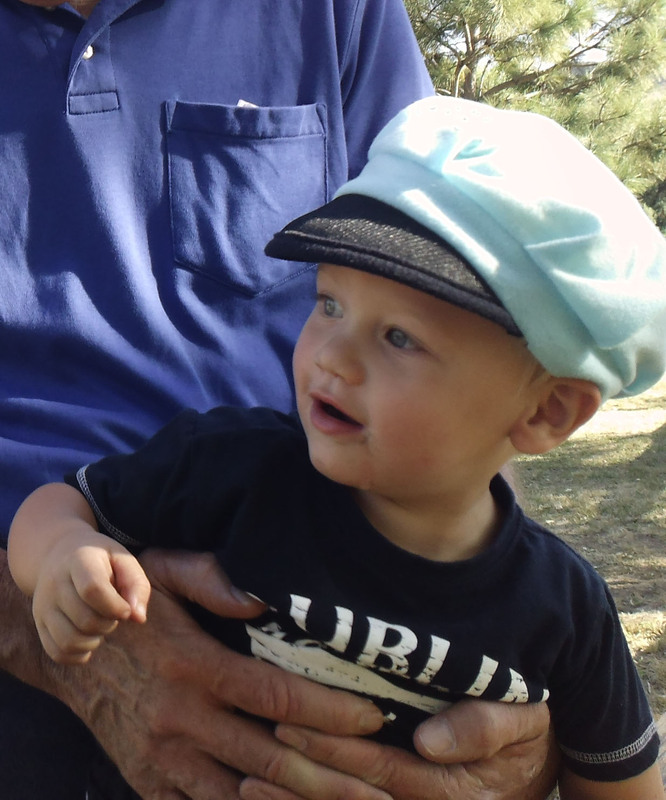 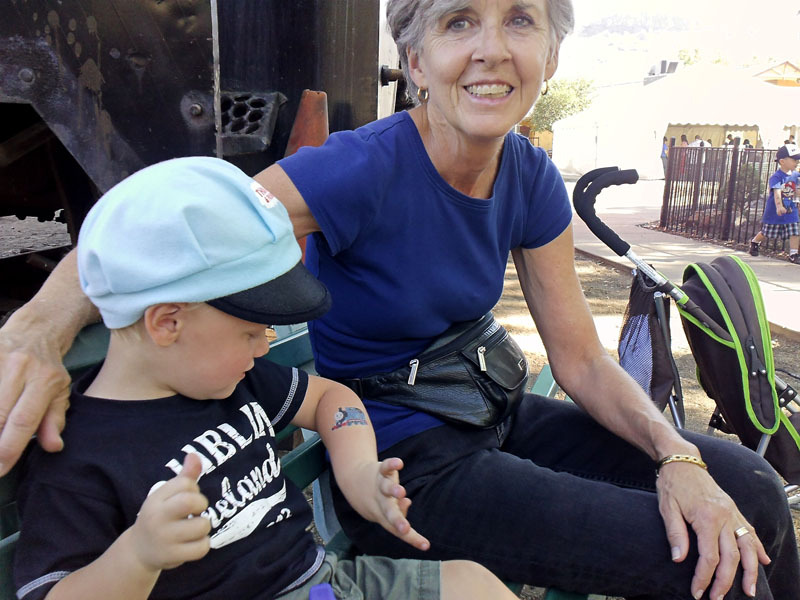 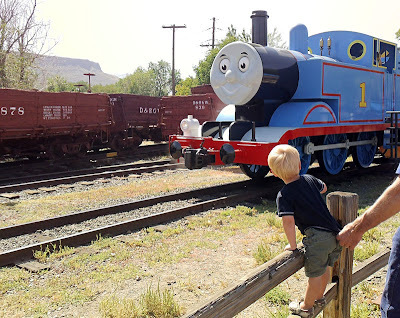 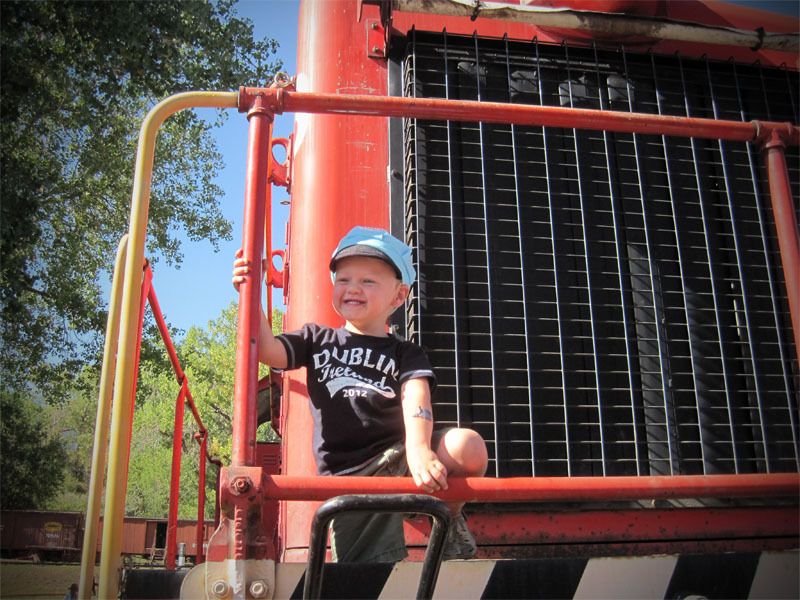 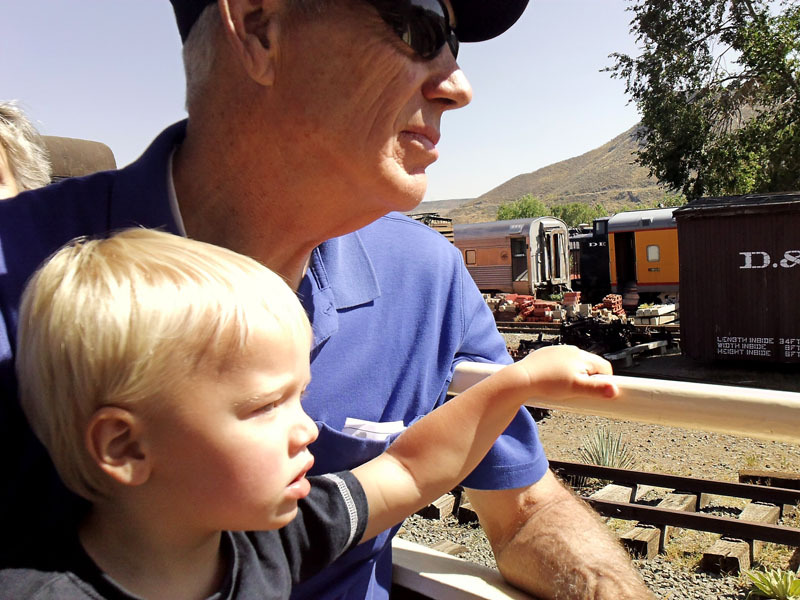 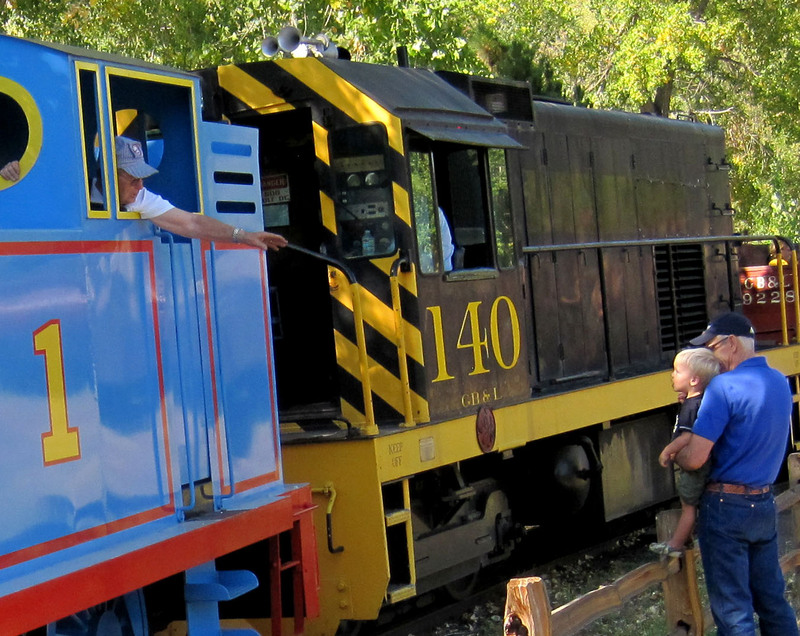 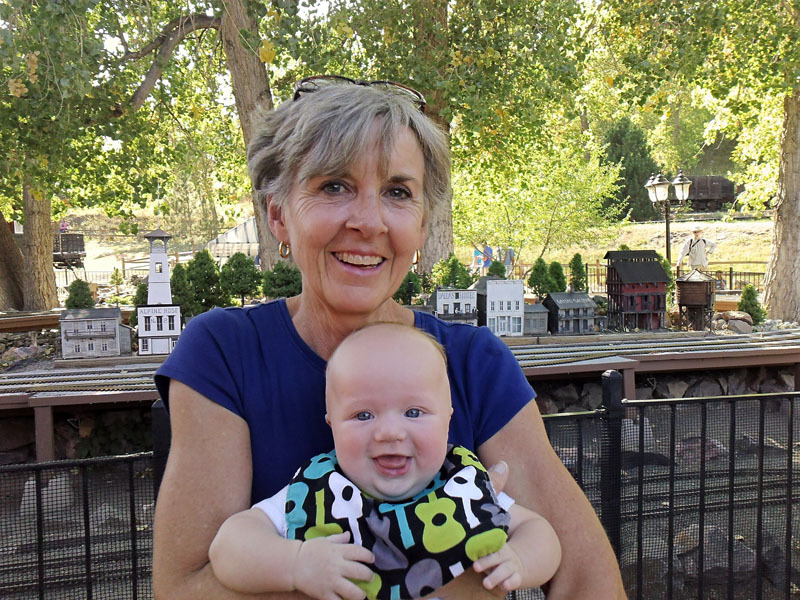 This Saturday we went to the Colorado Railroad Musesum to ride Thomas the Train. 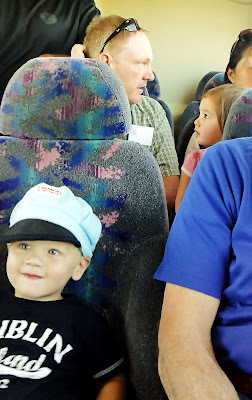 Jay was very excited. 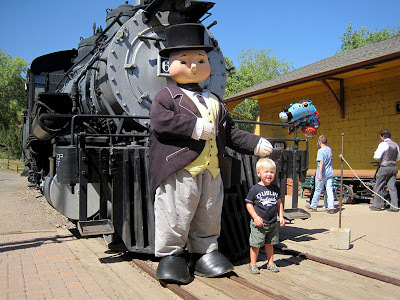 He also got to see Sir Tomham Hat and gave him a high five and a fist bump:)Doesn't he look excited? After we rode the train we watched it circle the track a few more times. Jay also loved that he got a free tattoo of Thomas. 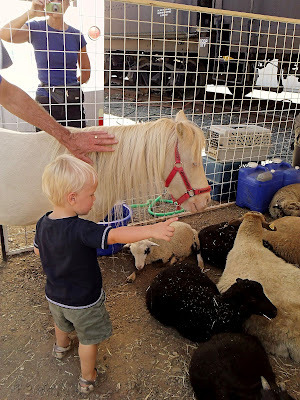 There was a free petting zoo and we wanted him to pet the animals, but all he wanted to do is go back to all the trains. 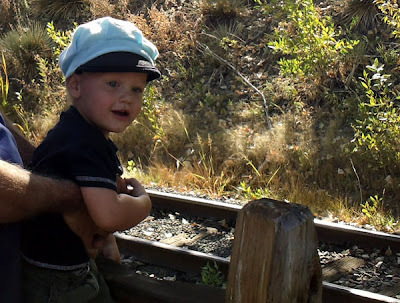 Andy was a BIG trooper because about 20 min after we got there I lost his bottle. Yep, it was gone. I think I set it down on a bench after I gave him about an ounce of it because we were going to get in line for the train and while we were on the train we realized we didn't have it. 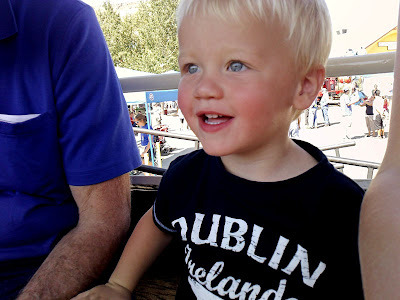 We gave him a pacifier and he was happy riding the train. 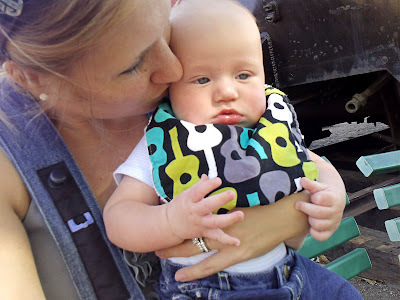 Of course my back up bottle was in the car, but that was a shuttle ride away because parking was such an issue. After the ride I BF Andy to hold him over until we got to the car. 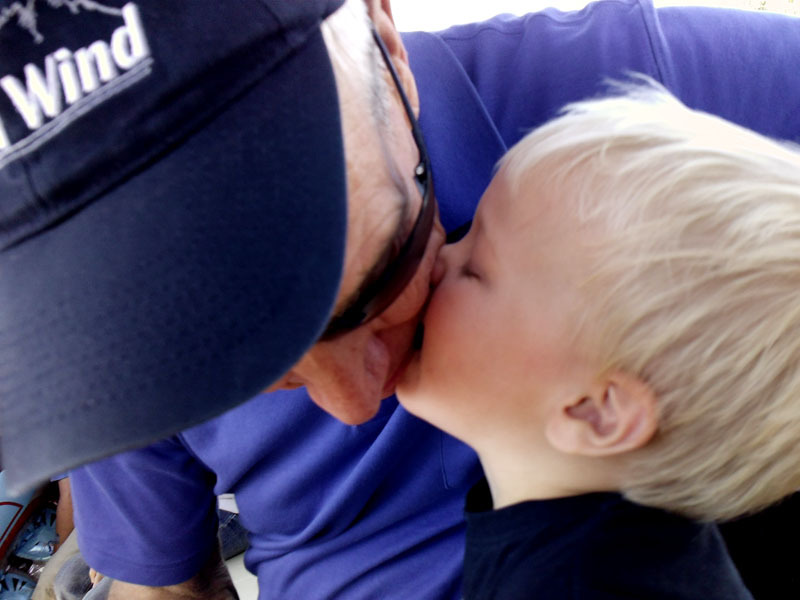 Jay riding the shuttle bus..
Jay loves Thomas all right! Well, we enjoyed every minute of it!! 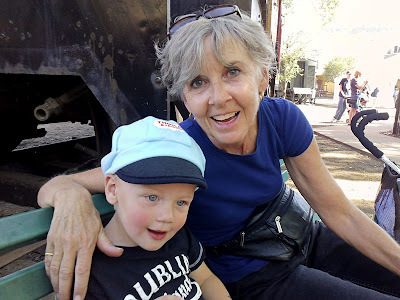 Grandma S.